Soil, Soul, Society is the title of Satish’s Earth Talk and also the title of his latest book, which has recently been published by Leaping Hare Press. In this Earth Talk Satish discusses how his holistic vision is enshrined in the ancient philosophies of Hindu, Buddhist and Jain traditions of India which were revived for our time by Gandhi and Tagore. In turn, these ideas were brought to the west by E F Schumacher in his book, Small is Beautiful. 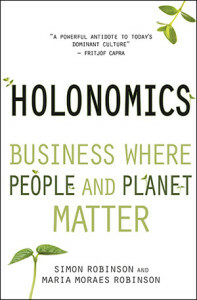 To facilitate the emergence of a new sustainable future we need to bring about an educational transformation by replacing the three ‘R’s (reading, writing and arithmetic) with three ‘H’s (education of head, heart and hands). Satish’s talk offers a fascinating and inspiring recipe and guidance for a gentle revolution in our thinking and in our way of life. 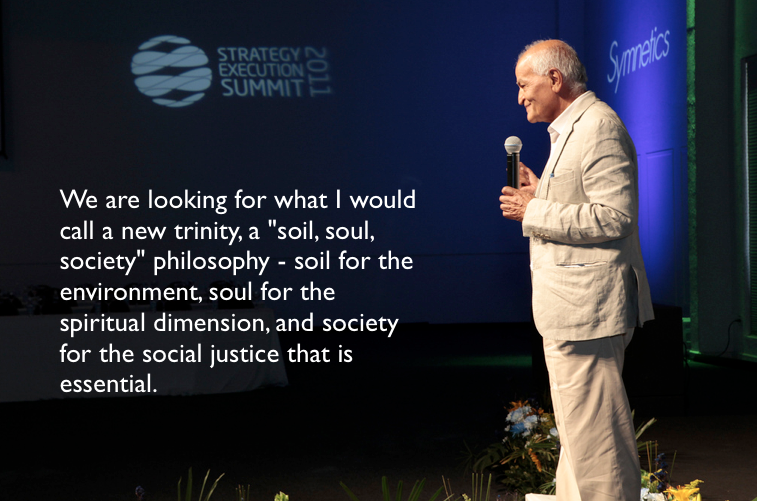 Satish Kumar is a former monk and long-term peace and environment activist. He has been quietly setting the Global Agenda for change for over 50 years. He campaigned for land reform in India — working to turn Gandhi’s vision of a renewed India and a peaceful world into reality. In 1973 Satish settled in the United Kingdom taking up the post of editor of Resurgence magazine and founding a number of ecological and educational ventures including Schumacher College.